Last Post: App recommendations for automatic order info export? App recommendations for automatic order info export? 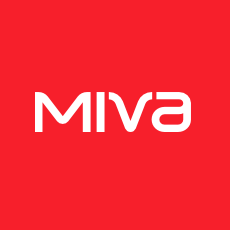 Are you new to Miva Merchant or Ecommerce or both? This is the forum for you to get help from the experts who use Miva Merchant day in and day out and run successful ecommerce stores. This forum is specifically to request, discuss, and think out new features or extensions you would like to see in future ReadyThemes. Questions and comments regarding the Elements Framework and line of ReadyThemes. Last Post: Additiona Product Images - Can they be swiped? Additiona Product Images - Can they be swiped? Last Post: Worldpay with miva? Last Post: synchro won't synch! There are currently 5826 users online. 92 members and 5734 guests. Most users ever online was 7,900 at 03:37 PM on 01-03-19. We are trying to set up USPS shipping options. We have our different sizes (different weight and volume) set up as attributes - variants. Interesting search and results page UI/UX , thought it may interest the group.